Calfayan Construction Associates is an award winning and family owned full service construction company. We have been in business for over twenty years. We have dedicated employees and we are aware of the importance of continuing their education. We want our crew to have the best training and be well-versed in the recent developments in the industry. They use the knowledge to better serve our customers, which has always been our top priority. With nearly 20 years of experience in new construction, renovations, and construction management, C&A Construction Group has satisfied clients from Philadelphia to the Jersey Shore to Cecil County Maryland. Our two locations, Warwick, MD and Philadelphia PA allow us to provide superior and reliable service to all our clients. Our business is built based on client referrals, a true testimony to our quality workmanship and professional project management. Allura Group is a kitchen & bath design and construction services company dedicated to meeting the needs of its clients. Whether your project is residential or commercial, small or large; we have the expertise and resources to get the job done in a timely and professional manner. Our on-site design professionals can work with you to create the kitchen or bath of your dreams. Alternatively, if you are just looking for cabinetry or counter tops to complete a project, we are happy to work with you (or your design professional) in that capacity. All contractors were not created equally. If you allow us to build your project correctly the first time, it will be less expensive in the end rather than having it redone twice if you choose the, (other contractor's), lowest estimate or try to do the work yourself incorrectly. 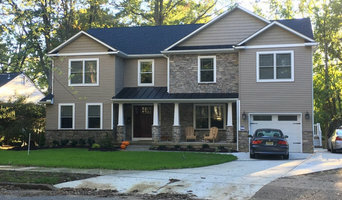 Elite Homes LLC is a family-owned home remodeling business, geared towards kitchen & bathrooms, providing services in the Delaware County and Chester County area’s. Elite Homes LLC has been in business for 14+ years. We have a combined 40+ years of construction experience and we are fully licensed and insured to protect our clients and to provide a superb contracting experience no matter the project. At Elite Homes LLC, the service that we provide is a reflection of our business. We focus on our customers and their individual needs at every step of the construction process. We take pride in providing a higher level of customer service and attention to detail than others in our industry. We believe in the core values of honesty, professionalism and quality craftsmanship. Most of all, we believe that our company values are every bit as important to us – and to you – as the quality of our product. No matter the size of your next project, contact us and we will make sure the job is done with the exceptional quality that our customers have become accustomed to. We offer exceptional customer service and a superb overall experience. Tree Top Builders has been safely putting people in the tree houses of their dreams since 2003. We travel all over the United States to build these amazing structures and have recently traveled to South America for two resort treehouses. Tree Top Builders has built over 300 tree houses; our best-in-class building practices have matured and our construction methods are even safer, better and longer lasting. Years of building has unleashed our creativity – you can expect a fantastic tree house built of diverse materials and attached with care to the living foundation. Your custom design will compliment your landscape and blend in with the natural environment. Our expertise makes our projects the most practical, beautiful, unique, and most importantly, the safest tree houses possible. We are a full service contracting licenced, insured, EPA lead paint certified and member of PAHIC#063014 Our mission is to service all of your home improvement and contracting needs at fair prices and become your one and only contractor. Performing all major and minor residential contracting needs from windows, doors, kitchens, bathrooms, basements, hardwood flooring, ceramic, porcelain and other stone flooring, custom countertops, framing, drywall hanging and finishing, and much more. If you are looking to remodel your dream home, give us a call at (267) 984-4460 or click the "Contact Me" button to send us a message. We look forward to working with you! We are a one stop shop for homeowners who want improve the look and value of their homes. From concept to completion we turn homeowners dreams into reality. 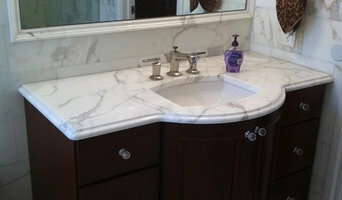 South Jersey premier general contractor and home remodeler specializing in kitchens and baths. We've served our community for over 20 years and pride ourselves on quality craftsmanship and custom woodwork. We are a widely recognized Main Line Philadelphia General Contractor. Our services include Commercial Interiors, Retail Build-outs, Academic Facilities, Structural Installations, Luxury Home Renovations, and Office Fit-outs. Bromwell Construction Company understands and believes in our motto. We specialize in affordable residential remodeling, using the best quality raw materials and expert craftsmanship. We believe in providing our customers with the best service possible with our best workmanship at their disposal. We are a team of designers, contractors and engineers, with experience in classical and modern architecture. We are committed to excellence in service, response time, attention to detail and overall customer satisfaction. 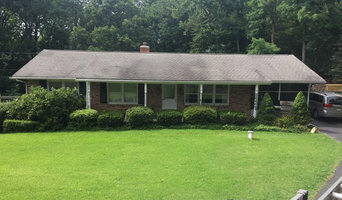 We are a family owned construction company based in Delaware with 25 years of experience in construction, home remodeling and contacting experience. We blend the newest technology and methods with time tested construction practices. We personally look to it that you get the best and high quality service you deserve before, during and after your project is finished. With decades of experience, we have the expertise, manpower and resources required to complete every job to your satisfaction. Building is Fun with Rittenhouse Builders. While our team shares a combined one hundred years of experience serving our clients, I get excited by the unrolling of the plans for the first time, every time. There is something about seeing the homeowners wants and needs artfully addressed on paper, and seeing the understanding dawn on our clients, that this really is possible in their home. The initial excitement is fun...but the rewarding part of building is seeing constant daily progress as our craftsman execute the plan with their individual artistic touches of their own. Few things in modern life are truly custom and we relish the fact that we are truly custom builders serving the unique needs of our clients! How fun is that? I am a self-employed carpenter since 1993. I am interested in making your vision come to life and enjoy turning a stack of wood into a beautiful piece. 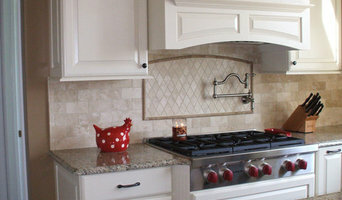 I work with multiple kitchen designers that work with you and I handle the space renovation then install the kitchen. I like the challenge that others shy away from, challenge me.